GCG24 is a forex broker. 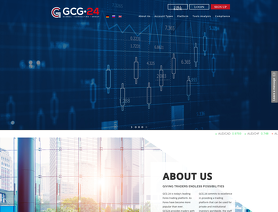 GCG24 offers mobile forex trading platform. GCG24.com offers a number of forex pairs and cfds for your personal investment and trading options. zero and they call you to put . You can deposit funds, but apart from a minimal amount you'll never get your money back nor any chance of any gains being paid. I echo here the sentiments I see in several of the earlier reviews. The brokers are experts at persuading you to invest and make trades. They allow one small payment out to win your confidence and then nothing once you have invested real money. They do not call when they say they will and do not reply to emails. The head office address they advertise seems to be bogus and neither the head office number nor the number to the broker connect when I call. Eventual after posting my initially review i was then contacted by my account manager and he clearly explained where the hick- up was coming from. I honestly salute him for not being emotional but clearly explaining the issues to me. His approach then proved to me that they are not scammers but maybe just need process changes. Thank you for your clarity and now i am happy. Nov 5, 2018 - 1 Star How i wish i had seen all this reviews before i started investing on this broker. I have been using this broker for few months now and all i get from then is when am i going to invest more money. i asked for a withdrawal of $400 and now is a week nothing from them. when i try to get them on online chart is either i don't any feedback or i am told my account manager is on leave he will only contact me once he is back. What kind of service is this. So if my account manager is not coming back it means i will never get any assistance. i also start to believe this are scammers. Hello Nick, I was 2 weeks in the hospital, had a heart attack. I blame you because I was always so excited because you did not transfer my money. I have enough now. transfer within 3 days EUR 1200.00 to my credit card. If not, I will go to the social medias and warn everyone about your company and you personally. It's ridiculous that your company can't pay me my money. That means you go bankrupt soon or disappear. All my documentation was up to date. No answer to emails.. I Can't reach anyone and have received no money. Something must be done to stop this company taking others money. I have just been asking for money back. Which they will not release. Great to work with until you ask for a withdraw, then nothing. I wished I has seen the other reviews before investing. I found GCg24 and all looked good. I initially invested $250 and placed some simple trades. After a few weeks I was happy with the support and returns so I decided to invest a further $2000. With support for an account manager we managed to grow the account of $12,000 which I was very happy with. Then the problem started. I applied for a withdraw of $3000. It took many weeks to be processed. All my documentation was up to date. Phone numbers now disconnected and no sign of account manager, no answer to emails. After many email the funds did leave my account but they are not with me. I Can't reach anyone and have received no money. I now have a missing withdraw of $3000 and a live account with over $9000 but can get to any of it. Something must be done to stop this company taking others money. They are no placing trades on my behalf in an effort to run the funds down. There are still some sites promoting GCG24, I will be contacting them all in an effort to get this stopped. GCG24 are scam investment company! They sound very plausible and make all sorts of promises but at the end of the day GCG24 is a scam. Fortunately I didn't invest a huge amount but still I feel so gullible and foolish. They will not allow me to withdraw ANYTHING from my account!! They seem to be clever in making profits but if they do not allow withdrawal, what is the point of investing!! BE VERY CAREFUL. DO NOT INVEST WITH GCG24!!!!! Money returned after review here. I still do not recommend. This is an update on the gcg24.com review. About a month after the review here, they decided to return my money. So as of 21st Dec 2017, they do not owe me anything. That said, I still do not trust them or their practices. They have caused me so much frustration and headache that I would never invest with them if they were the last brokers. The platform and modus operandi of this broker seems same as Daxmarkets.com which did scam me out of my money. 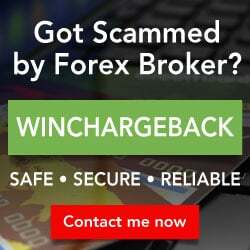 Nov 21, 2017 - 1 Star gcg24.com is a forex and binary options provider who is a straight out scam. They will say anything to get you money. They are not regulated. Their platform is rigged. So that they can show you profit or loss anytime they like. They will even trade with your money and show you a loss if you ask to withdraw money. Since they will not be in your country of residence, most likely, you really cannot do anything to recover your deposits. I was introduced to them by tooltrades.com who serves as their intermediate. They required min $250 to open account and guess what.. I traded only once for $2. Since then I have just been asking for money back. Which they will not release. They keep asking for documents but they wont release the money or acknowledge the document submitted. I hope this review will help someone. I have lost $250. I can bear that loss. Thank you for your review. Let me clarify some points for you. We sent you the money as soon as we got all the necessary documents from you. The reason why it took that much time to verify is that the documents you sent before did not comply with our requirements. You say that we manipulate on our platform. This is utterly absurd, because no self-respecting company would ever do that. As an experienced trader you probably know that market is very dynamic and it does not make sense. In case you have further questions, we will gladly answer them. I am trading with this company for 5 months, my account manager name is Jason. He is very supportive and helpful. The only thing I can underline in this company is withdrawal which takes time within 4-5 working days, but at the end I found company which pays profits to the customers so at the end of the day I am satisfied with them. This review was submitted by Damon.r, GCG24.com's representative to the FPA. Damon.r has now been banned.